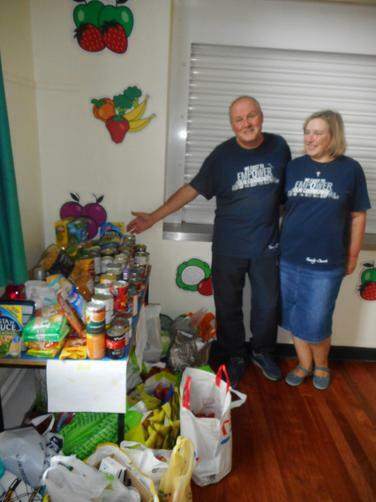 Pastors Rob and Pam Hibberd from Gosport Family Church came into school to collect your generous donations. Caring Hands community outreach provide food hampers for families who are referred by Support workers, School or Church Pastors. They believe that we should look after one another so that no-one goes without.